“Garage Door Repair Lisle” provides you one of the best opportunities of repair services at a minimal cost. Some people do not pay much attention to the door springs. The truth is that, these are the highly functional parts of the garage door. If they do not function properly, then it is not possible to raise or lower the door smoothly or at all, in case it is broken. This is one of the major reasons to pay attention to the springs. Another reason is that the door springs are unsafe; Very unsafe, in fact! If the spring is not working properly, then accidents while operating the door can occur anytime, unexpectedly. 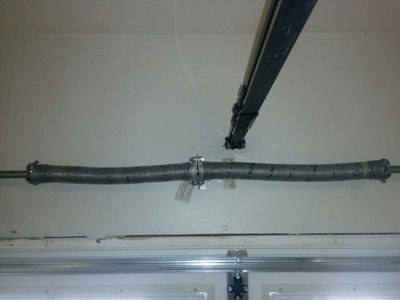 * Torsion springs: These are very simple to use and are placed just above the closed door, mostly used in residential properties. 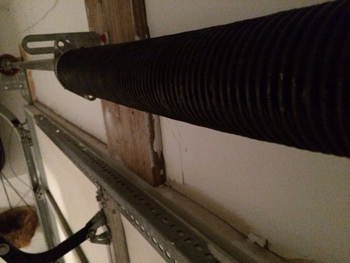 * Extension springs: These are placed on the upper tracks on both adjacent sides of the door. These are mostly used in commercial properties for their ability to support heavy and massive doors. Torsion springs replacement is a rather complicated task. There is always a risk associated if replacements are done on your own in general, but when it comes to springs it is even more dangerous. When a professional is handling them, there is no need to worry about anything as they have the appropriate tools, skills and experience to handle this type of situation in the safest way possible. Spring repair actually means adjustment. Once the spring breaks, a repair is not possible. Though – sometimes, the springs could use an adjustment to better deal with the weight of the door and the tension they have to bear. When the springs are not well-adjusted, the door might move slowly or open unbalanced. A broken spring is much more problematic. If no safety cables are installed, the tension will cause the broken spring to fly out, harming anyone in its path. Safety cables are the first step to make sure no one gets hurt. Though once the spring breaks, the door won't budge – or worse, possible collapse while opening. A problem which appears small to you now, can become a bigger one later on. 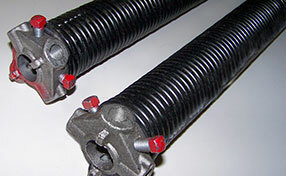 So, if your garage door springs are making squeaking noises, then instead of mending it on your own, call us today!